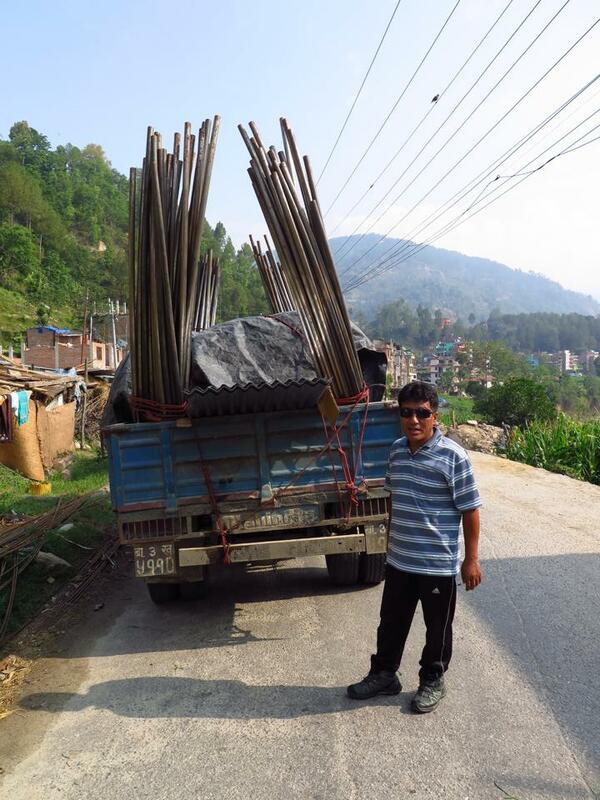 To date Bodhivastu Foundation has delivered and distributed over $35,000 worth of supplies to Nepal villages in the form of shelter, food, medical supplies and other essential items. 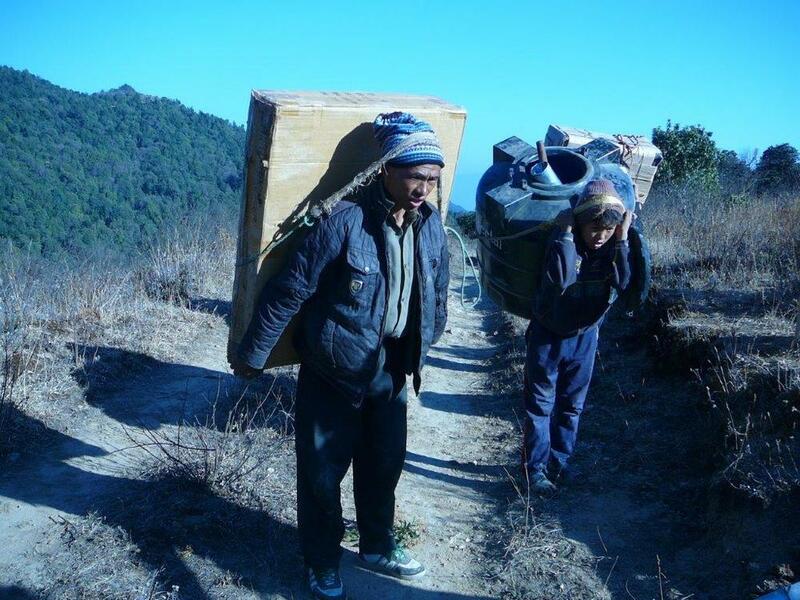 The efforts of Bodhivastu and the Himalayan Light Foundation team, affiliate partners and local Nepal groups as well as the generous donors who have supported our work have provided lifesaving materials for over 700 Nepalese families, roughly 4,000 people. If it wasn't for the relief aid of small NGO's like Bodhivastu and the Himalayan Light Foundation, and others most of these areas would have otherwise received no other support in the first several weeks of this immense natural disaster. We will continue to support villages with a lasting presence in Nepal and the rehabilitation of its communities and national heritage sites. 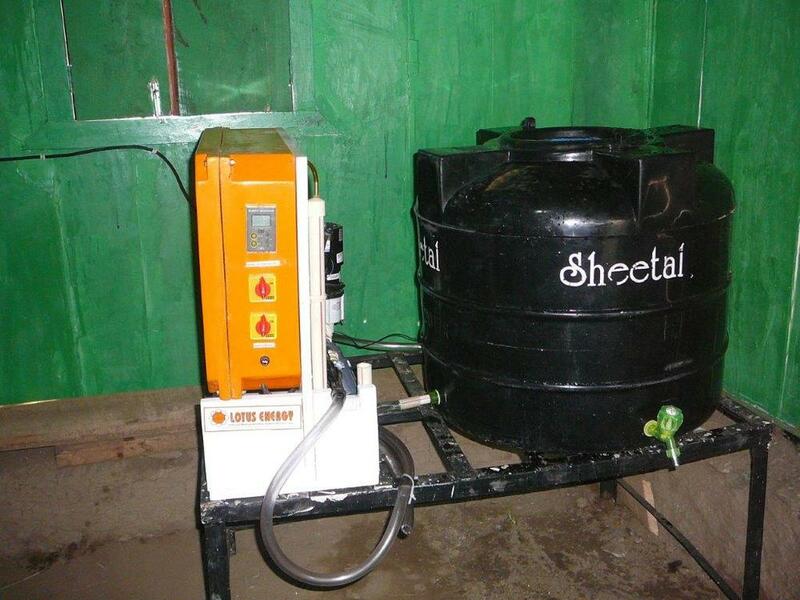 We are continuing to provide essential supplies and shelter to desperate communities and we are now planning the implementation of Solar Powered Ozone Water Treatment Systems (SPOWTS) in remote village communities and schools. 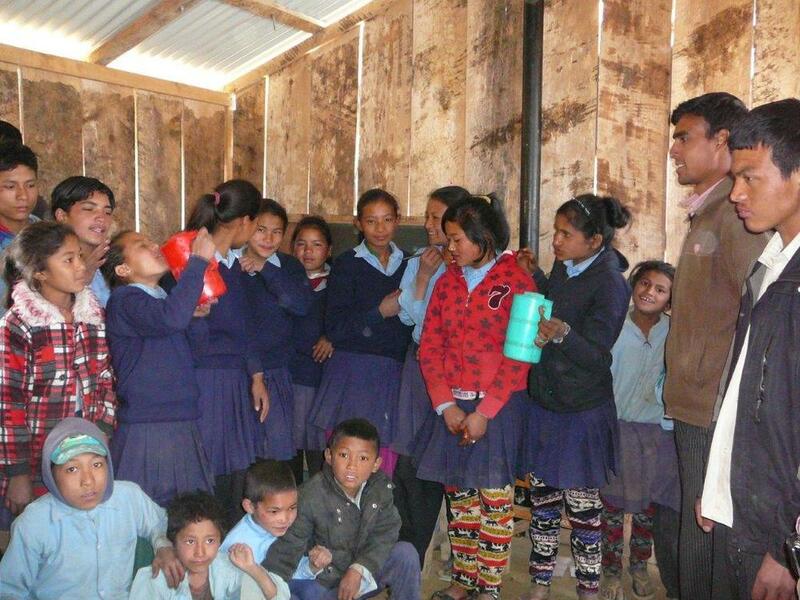 We are also currently working on logistic development for the reconstruction of several remote schools. Bodhivastu's HRI Program has begun work to support several heritage site reconstructions including Sankhu, to restore Vajrayogini / Ugra Tara (Ajima), Boudhanath, and Swayambunath temple areas. We have successfully completed the first round of tent distribution in Dura Village of Ramechaap district on May 26th, 2015 in collaboration with "The Himalayan Indigenous Society (HIS-Nepal)". 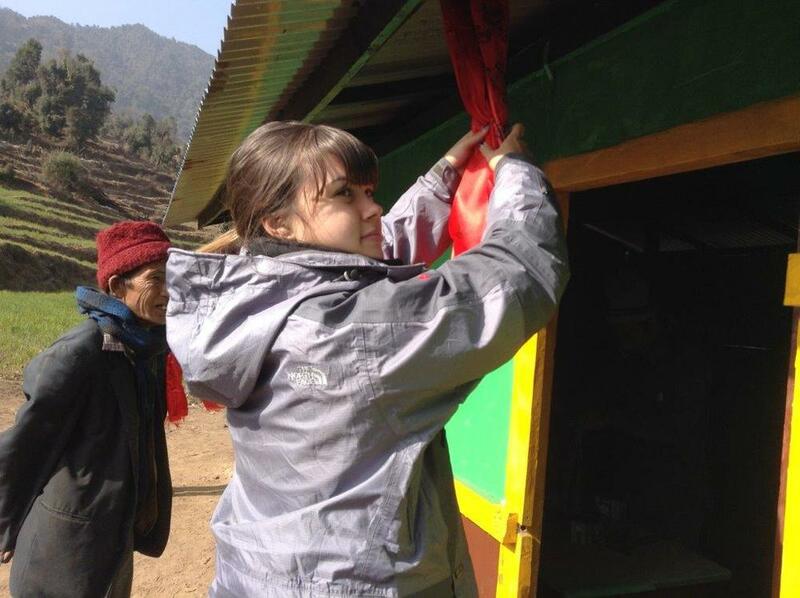 HLF and the Himalayan Indigenous Society (HIS-Nepal) team traveled to Dura Village and distributed 295 tents. 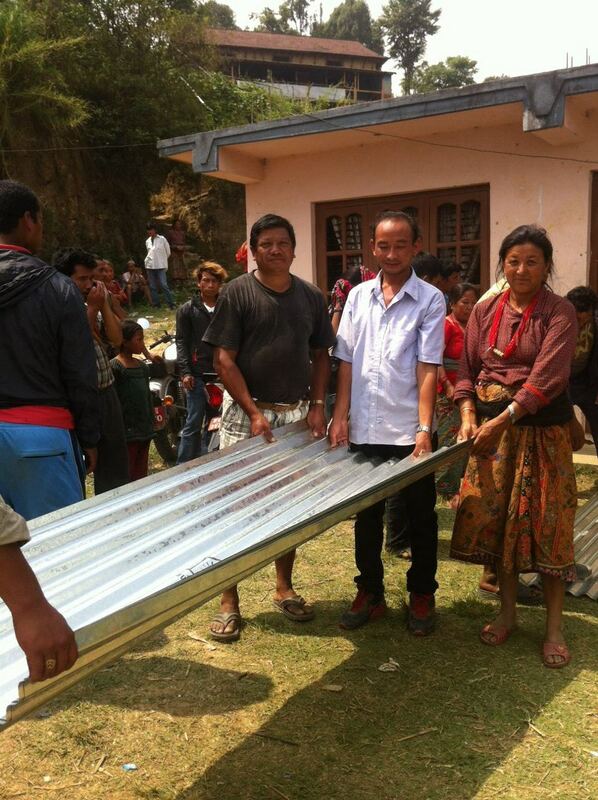 Bodhivastu and HLF distributed tin roofing to 180 families above the town of Sankhu Vajrayogini on May 30th. This material is vital to make temporary shelters that can withstand the intense weather conditions of the monsoon season. 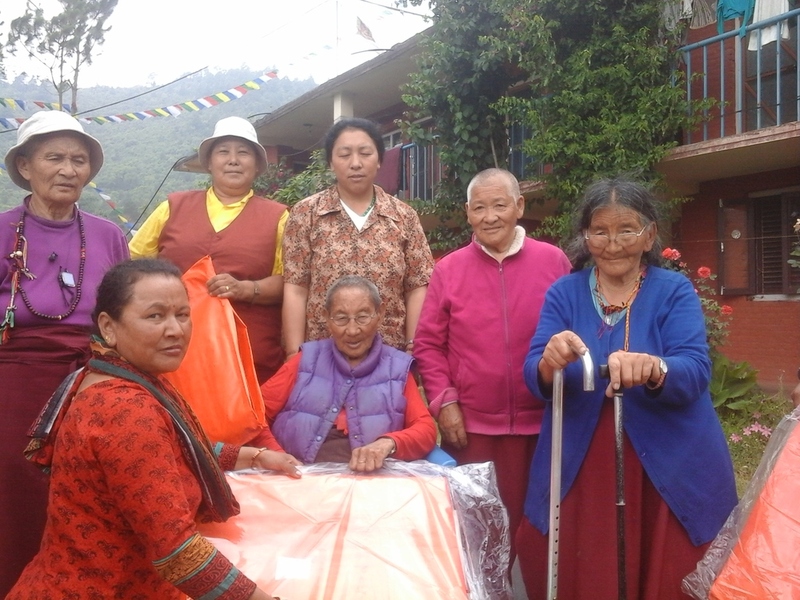 Bodhivastu and HLF assistant Gori Lama, (pictured in the bottom left and right images), distributed tents in two distribution days to several seniors who are spiritual retreatants at Tsogyal Ge Phel Jong senior living center. This senior retreat center was established by Tharchin Rinpoche, (see photo of Lama Tharchin and family taken by Lama Rangbar circa 1990). 6 tents were distributed as an initial assistance while work began to assess the longer term needs. Buildings are cracked and an engineer's opinion is necessary. Bodhivastu and HLF plan a second round of assistance later this month or by early July. Over three weeks have passed since the initial disaster struck the Kingdom of Nepal. 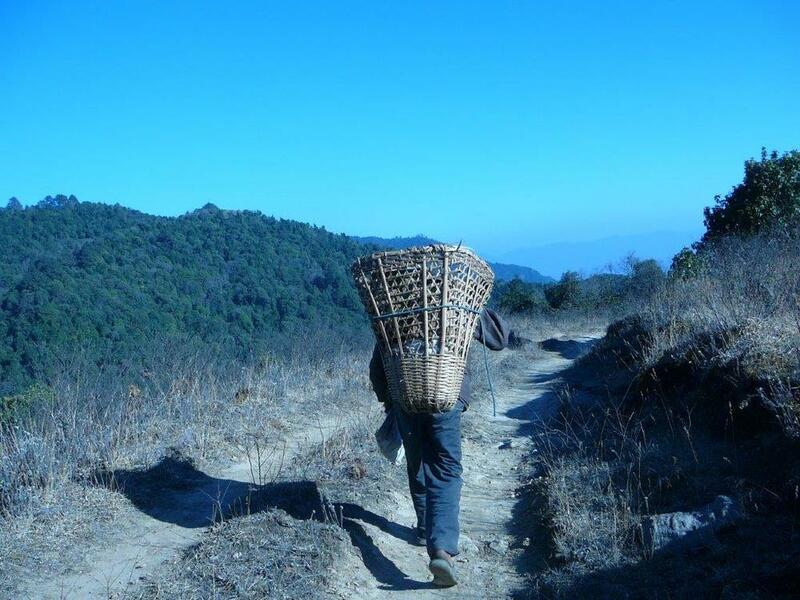 The Nepalese have endured an unimaginable amount of suffering and hardship. As desperation and challenges mount, the story of Nepal's tragedy is falling out of media headlines. Many organizations are removing their aid teams exactly when more help is needed than ever before. Tourism, has almost come to a standstill and a majority of affected people must relay on the support of organizations for food and shelter until sustainable infrastructure can be established. Most of the total affected population are still sleeping outside without proper shelter, if any. The extreme weather conditions of the monsoon are approaching quickly causing and illness and disease may increase substantially. Providing proper shelter and clean water are our current priorities. 3 more major earthquakes (above 5.0) and over 200 substantial aftershocks have hit Nepal, the latter of which still continue to this day. The toll has surpassed 8,500 people with over 20,000 reported injured. Over 700,000 homes and other structures vital to everyday life, wellbeing and livelihood of the Nepalese, have been reduced to rubble and dirt leaving an estimated 2.8 million people displaced and many still in desperate need of aid at the latest count. We have raised over $60,000 for the humanitarian portion of our response Donations coming in from 36 U.S. states and and over 24 countries. 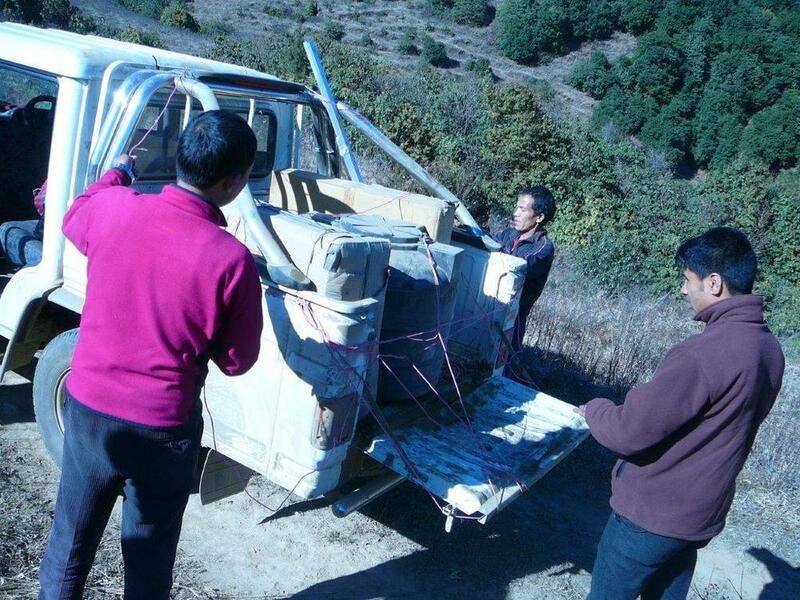 Bodhivastu and The Himalayan Light Foundation (our local Nepal sister organization) has now mobilized over $22,000 worth of emergency supplies into the field in the form of food, shelter, medical supplies and attention, and other essentials. 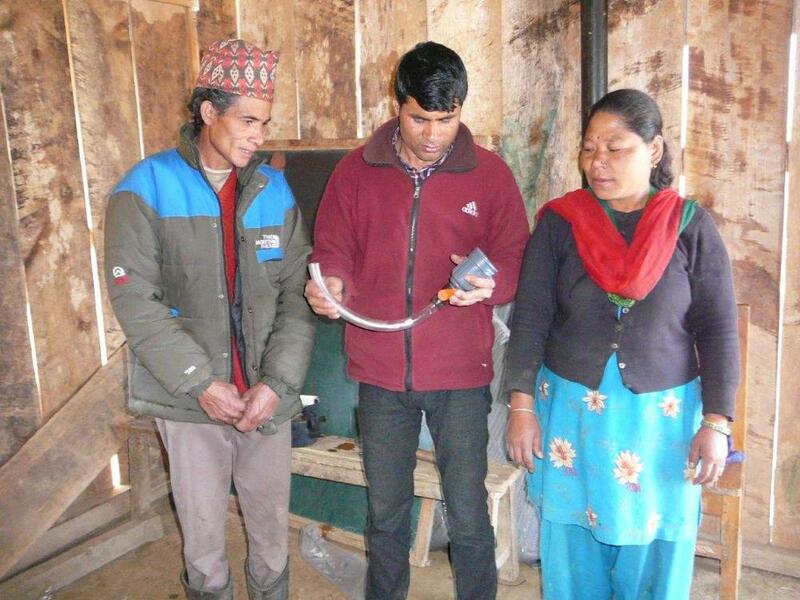 HLF Nepal has provided this aid to three regions including several remote areas. Our resources are being distributed between several teams to help as many villages as we are able. With our continued work alongside the JICA Alumni association we are providing aid to upper Sankhu areas and surrounding villages. As food and essential items are being delivered and distributed according to the needs of the areas we are reaching, our latest order of metal roofing will be arriving soon in time for the rain season to provide stable shelter for over 120 families. With the ongoing help of the Helambu Relief Distribution Centre we were able to serve remote villages in the Helambu (Yolmo) Region. More details below. Our HLF coordinators worked closely with a team of dedicated volunteer service providers from the Helambu Relief Distribution Centre to bring aid to around 9 remote villages in the Helambu Region who would otherwise receive little to no aid due to their remoteness. 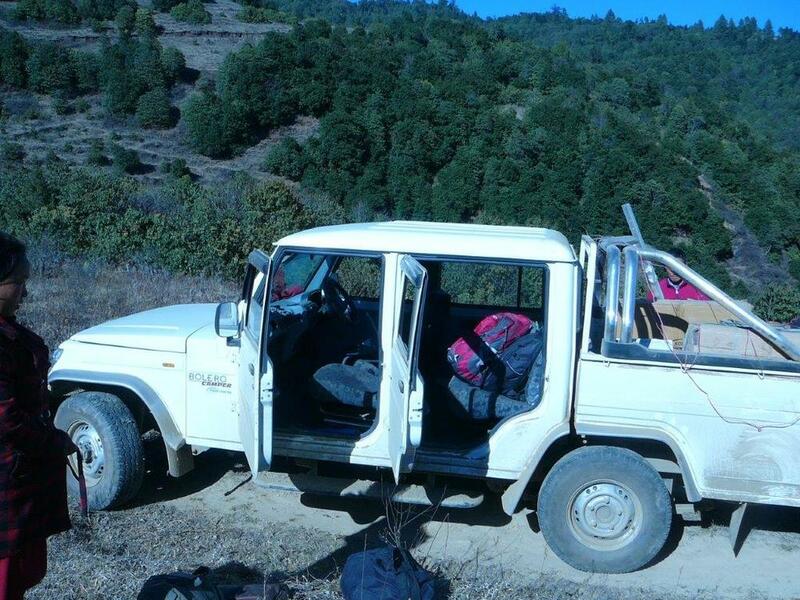 Our funds brought into the field have been helping to fill supply runs between Kathmandu and these remote areas. We are facing major landslides and closed roads. 3,000 people (about 500 families) have received aid with the help of HLF and funds raised by Bodhivastu in the following areas. -Shelter: Tents, tarps, metal roofing, and additional tools and materials to construct temporary housing. The supplies were distributed by our HLF Nepal representative Ms. Shanti Laxmi Shakya (pictured bottom left), Treasurer of Himalayan Light Foundation/Nepal and Secretary of JICA Alumni Association/ Nepal with other JICA Alumni members. 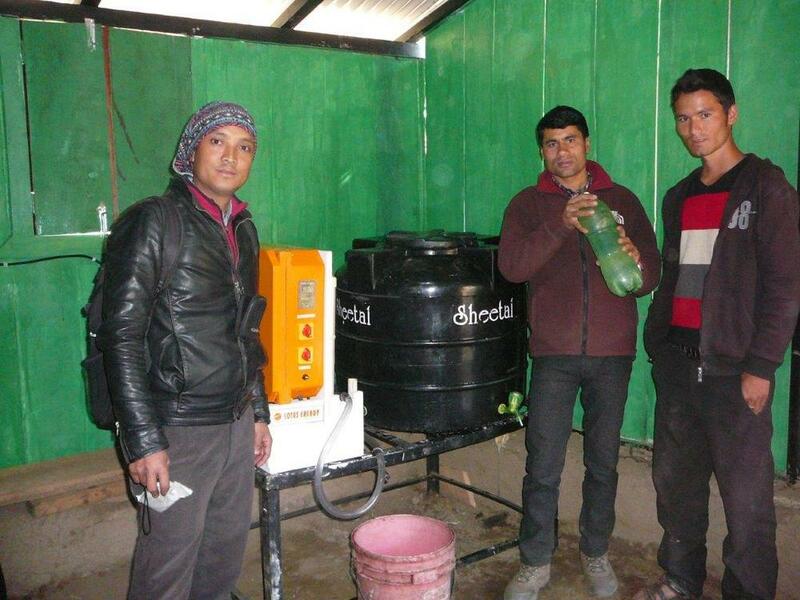 Both Bodhivastu Foundation and Himalayan Light Foundation are now turning our focus towards Solar Power Ozone Water Treatment Systems, (SPOWTS), monsoon shelters, school rebuilding and small solar lighting systems. 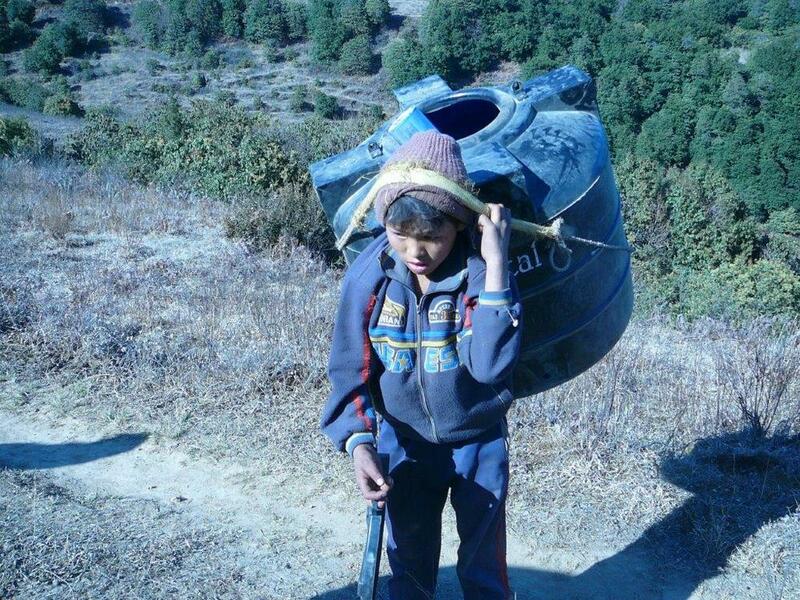 Please remember that the Nepalese need your continued support. HLF cares about its family, friends and companions, devastated by the recent events. We are committed to the long term reconstruction of Nepal and we ask that you continue supporting all efforts to provide relief to this ailing nation, especially to the organizations who will be remaining in the country long term. The following is a brief bullet update. A more extensive update will be available in the next few days. Relief focus has now expanded to include Drupadrong in the Yolmo area. $2,000 worth of tents and tarps has been delivered to the area providing temporary shelter for many. Arrangements are being made to deliver roofing sheets to brace for extremely heavy monsoon rains that the area is well known for. 3 Tremors have been reported today all registering at 4.0 or above causing panic for an already fearful populace. Your efforts are making a difference. 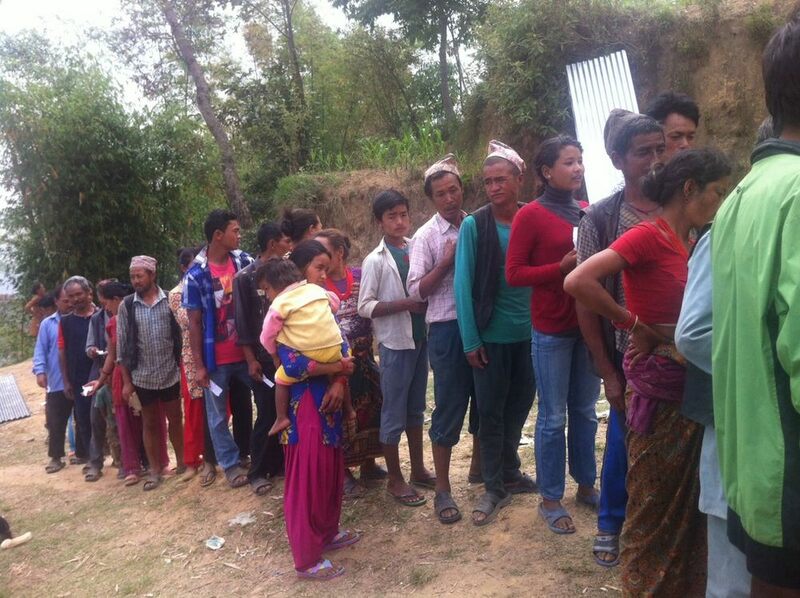 Yesterday alone 85 Families were fed at our emergency relief center in Sankhu Vajrayogini, totaling 510 people. Food stocks are building allowing for us to provide food to more and more people everyday. 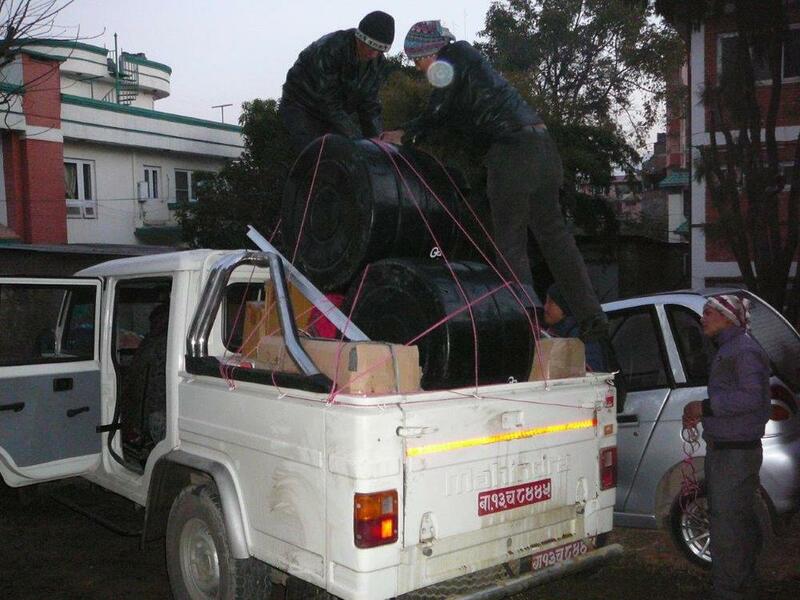 Supply Lines are established allowing consistent transportation of essential supplies which are being distributed by the Bodhivastu Himalayan Light Foundation teams. 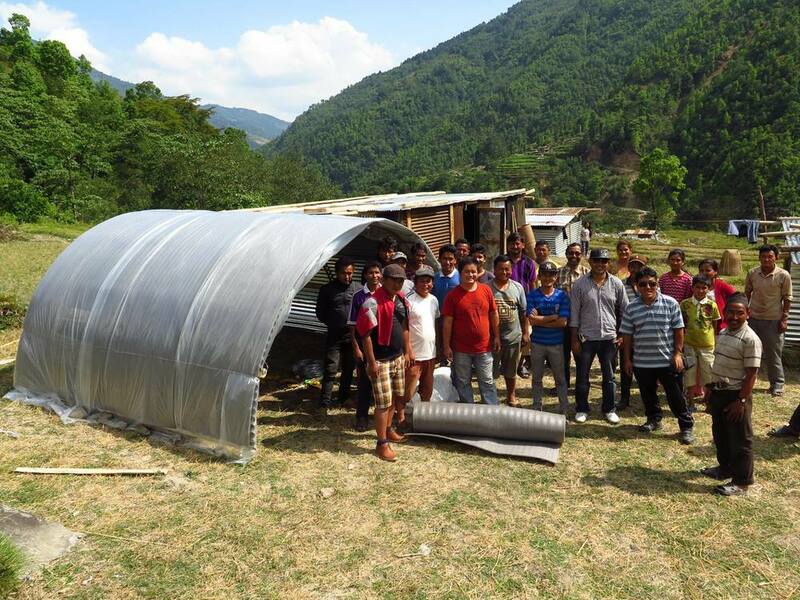 Our team in Yolmo has grown to 30 and the Sankhu Emergency Relief Center is now staffing 14 people. We are now partnering with JICA and the Helambu Relief Distribution Team to increase our outreach and effectiveness in the field. 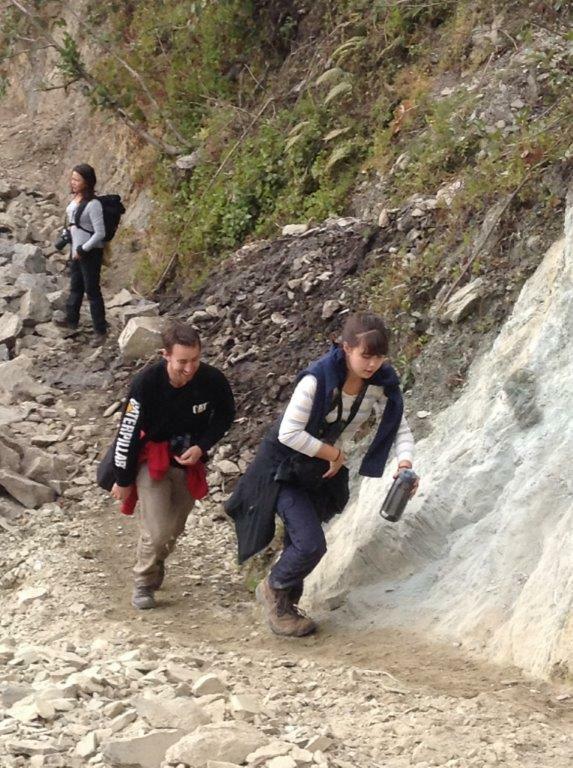 The local USA team of 9 volunteers is currently assessing and planning the second phase of our efforts in Nepal. We will not be leaving after the initial emergency aid is established, we are in for the long-haul. and restore the now greatly damaged cultural and historic heritage. We have 1 month before the monsoon season starts. What does this mean? The heavy rains will pose a significant danger for over a million Nepalese without shelter. The conditions may cause disease outbreaks and serious illness. Without the proper shelters set up and medical personal to treat people this could be another severe crisis for the people of Nepal. Medical supplies and more trained medical staff. We currently have 4 paramedics awaiting transport into Nepal. Distribution and registration tent at the Sankhu Relief center. 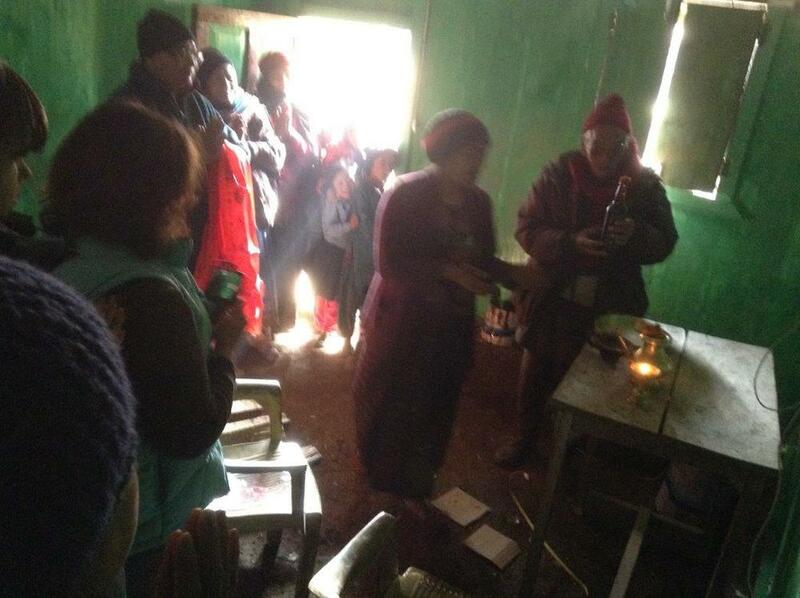 Relief centers are now established and fully functional in Sankhu Vajrayogini and Yolmo (Helambu). Supply lines are now well established and continual allowing for easy transportation of food and other supplies. USA team now planning reconstruction initiative. 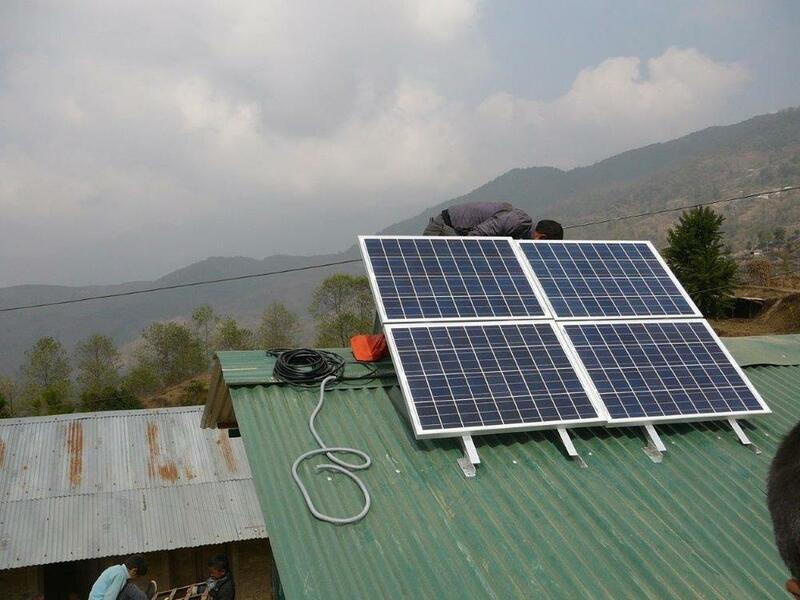 In cooperation with the Himalayan Light Foundation, our efforts are currently focused on the town of Sankhu and the Yolmo area. Communication has been established consistently with HLF (Himalayan Light Foundation) team on the ground and reports are coming in throughout the day from our HLF Program Manager Yadav Gurung, Babita Lama Rajbhandari, and Samun Lama, who is managing the relief camp in Sankhu. Currently the Nepal government has imposed a $500 daily limit to all bank withdrawals. We hope this will change soon as this slightly constricts the amount of resources we can provide on a daily basis. We are augmenting funds through other channels such as Western Union meanwhile. Nepal police have been imposing some restrictions on distribution, but we are currently trying to ascertain the reason behind this and the extent of these restrictions. Second round of funds transferred successfully via Western Union in KTM. Emergency food to be purchased and packed. Delivered to Yolmo area by tonight. HLF (Himalayan Light Foundation) is framing out a partnership with JICA (Japanese International Cooperation Agency) a large scale international organization. Alliance with Yolmo youth group established. Currently determining main distribution resource center in Yolmo. This means a supply line now established with consistent transportation of resources between Yolmo and KTM. 50 tents + 70 tarps being delivered to Yolmo area by youth group immediately. 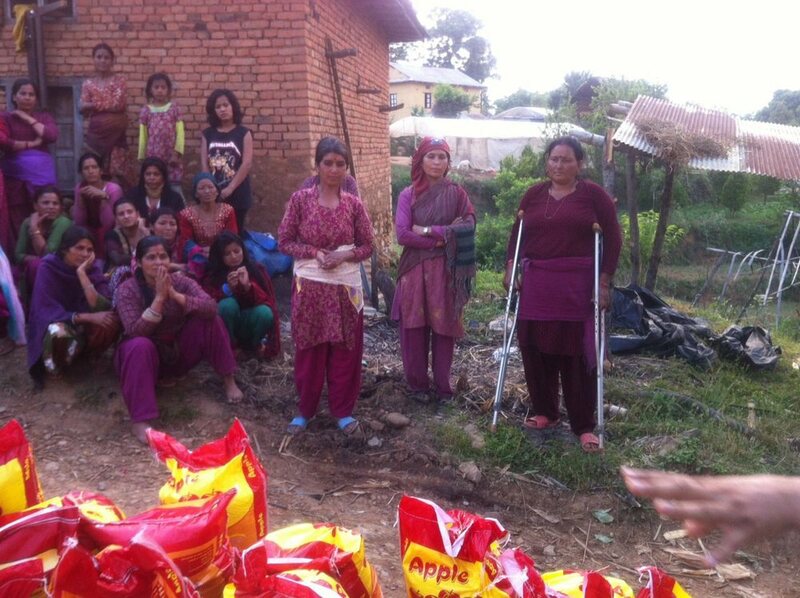 Relief camp established at our 3 acre compound in Sankhu Vajrayogini managed by team member Suman Lama. Please take these requests very seriously. With the proper resources and equipment we can begin to mobilize and provide critical resources to the starving, homeless and scared people of Nepal. Cell phones have limited range and charges are hard to keep. We must be able to communicate clearly with our team of paramedics awaiting deployment and the HLF team currently on the ground. Electricity is limited. 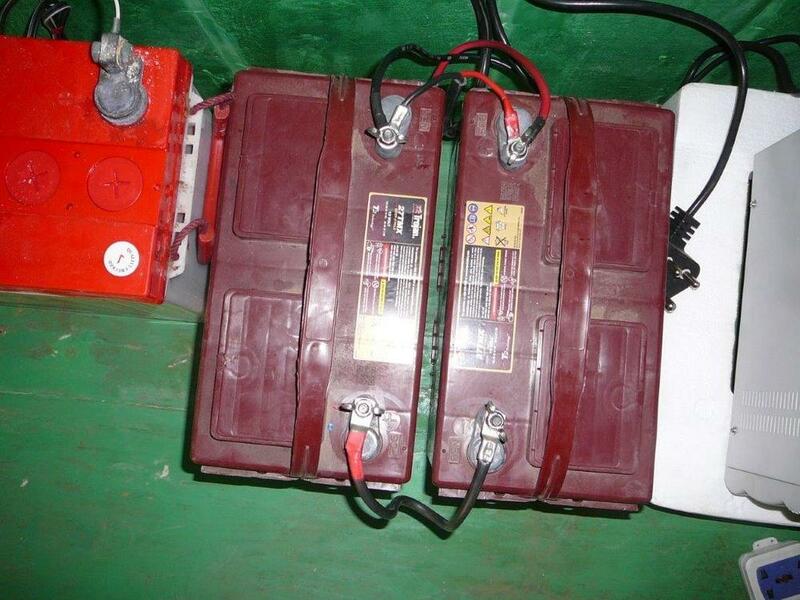 Essential equipment needs to be powered and Solar electricity is one of the only options available. Can be provided by Lotus Energy and other companies locally. Some food suppliers starting to distribute urgent supplies. We have opened contact with food sources and made arrangements for some initial pickups for distribution to Yolmo and Sankhu. Planning is going on to determine means of transport to the sites. 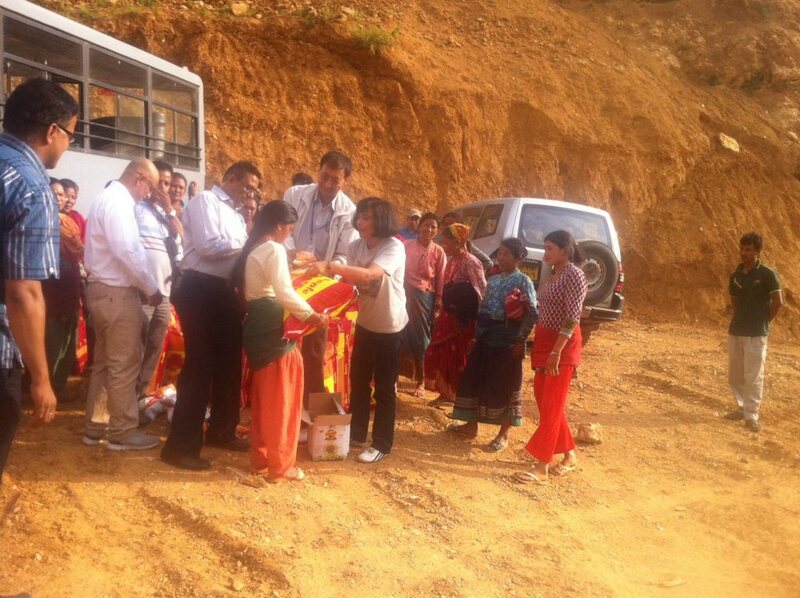 Some basic requests of water, medicines and tents coming in from Boudhanath area for small groups with children. Reports continue to come in from our ground staff and contacts in several places throughout the region. Bodhivastu will focus on the two areas, Yolmo and Sankhu. Arrangements are being made with the local food suppliers to prepare two packages to be sent by motorcycle to Sankhu and Melamchipul Bazar respectively as soon as the food supplier is able to open its doors. Stores and banks are not opened yet but should be by tomorrow. Some people are going back into buildings here and there but aftershocks continue to arise. Buildings not destroyed have varying levels of damage making them fragile and susceptible to further or complete collapse in aftershocks. 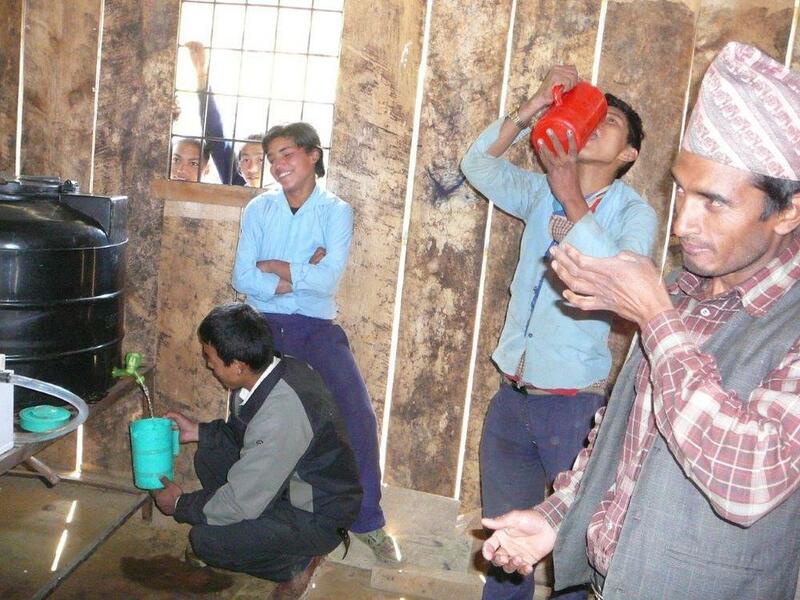 Reports say that water is already becoming a problem in Boudhanath area. 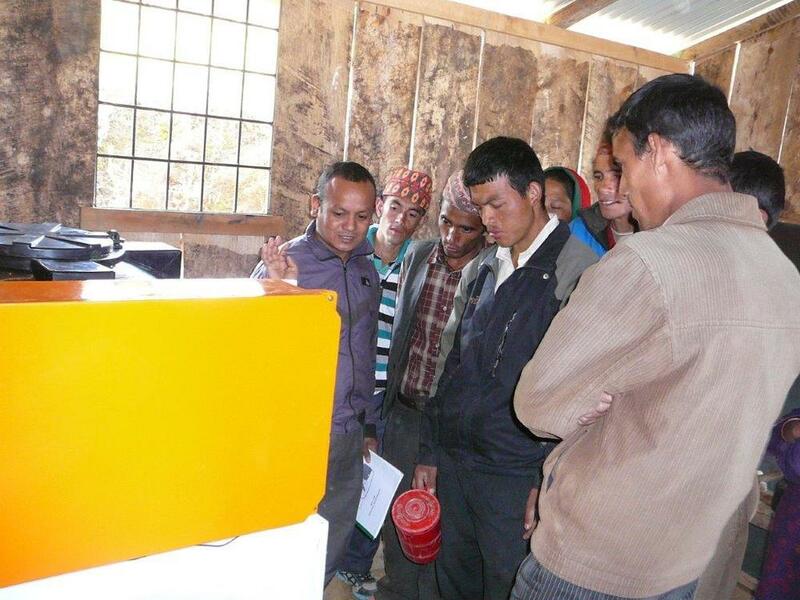 Locally in Poughquag, NY, Bodhivastu Foundation has assembled a team of 8 staff manning phones and coordinating with Nepal on-the-ground individuals for mobilization of food, funds, shelter and manpower. 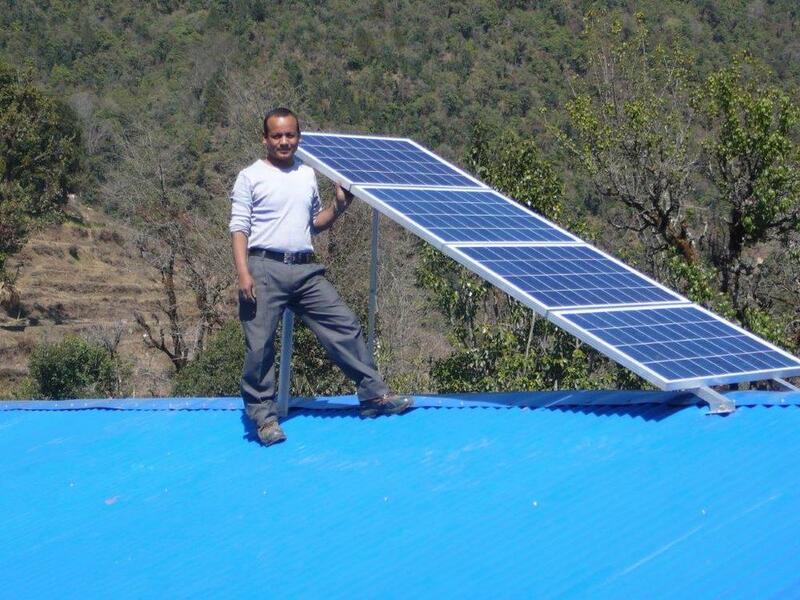 We have commenced communications with UNDP (United Nations Development Programme) in India and Nepal in order to gain their field support for resources. Today communications have opened slightly and we have just spoken with our main project coordinator who is on the ground in an area called Basantapur and he is currently in an outside make shift shelter with many people. Another one of our staff, Shyam K.C. is stationed in a place called Maharajgunj and all movement is severely limited. Food supplies are already very minimal and all stores and petrol pumps remain closed. There is no electricity and cell phone batteries are running low. Donations can be made by our main processing called "stripe" secure payment service, or if you prefer to use Pay Pal this option is also available. Until now, most people are stuck in their places as strong aftershocks up to and above one single strong one that registered 5.5, still shake the people of Katmandu and surrounding areas prohibiting them from re-entering the buildings that are left standing. Those buildings which can provide shelter are also in varying states of damage and continue to pose the threat of collapse. Crowds have all been informed by word of mouth that they can and should expect yet another huge tremor at any time. Confusion runs high but we are preparing pathways to get in relief. We are establishing our first emergency hostel camp in Sankhu area to provide food, fresh water and shelter to the villagers who have lost their homes and family members. Luckily we have been able to provide some food already. The roads are still more or less impassable as we attempt to bring resources into Sankhu which is only connected to the main parts of town by motorcycle at this stage but petrol is limited only to what they have in their tank. Meanwhile, time is of the essence as we must do everything from our side to coordinate our support channels. Our reports indicate that in many village areas such as Kabre Palanchowk, that 98% of the village homes (typically made of bricks and mud mortar) are completely leveled to the ground. Many food sources are also buried or in structures that pose the threat of collapse and so the challenge of hunger will be mounting day by day as these and other realities set in. Our team expects that the situation will clear slightly within two more days but bear in mind that those of us here in the USA must consider them at this time and get our resources ready and mobilized so that when channels clear we can move food, water and shelter into place. Helicopters are now in full operation but are currently these flights are in operation only for transport of the badly injured into the main overcrowded hospital areas. We are trying to pre-arrange a helicopter as one of our group members is a helicopter pilot and we will be trying to charter his craft to bring supplies into Sankhu and Kabre areas as our first main camps. The airport is only taking in select flights while we hear that most commercial flights are not being allowed in yet at this time. A few members of our organization in the USA is standing by in such a case as we can move in and be effective. For those of you who have given, we cannot express in words what this means to the people who are on the ground. We have raised $25,000 in the past 24 hours and so far $3,000 has made it through our organization's channel into the country. Tomorrow the rest will be sent to our project coordinator's hands. We will soon inform you about those wishing to send personal funds to specific individuals as soon as banks open on the ground. For those of of you who may not be in a position to do much financially, please know that any amount no matter how small is accumulating and can make the difference to serving even one person food. Most importantly, if you cannot help financially, at least spread the word to all your friends to give them an opportunity to pitch in. So please continue to spread the word every day once a day while asking your friends to also spread the word. Donations can be made by our main processing called "stripe" secure payment service, or if you prefer to use Pay Pal this option is also available. Please note that we would prefer to channel as much of the donation through "stripe" secure payment services if possible. It deeply saddens me to write this letter. You have probably heard of the massive 7.9 earthquake that has struck Nepal. Many thousands of homes made from brick and mud are completely collapsed and even some modern buildings in city centers have fallen. The death toll has skyrocket by each hour and has passed 1,400. People are stuck in the rubble everywhere and the town of my center, Sankhu Vajrayogini, has been extremely affected as almost all the homes there are clay and sub-standard. The Hospitals are overflowing onto the streets and many main roads are completely unpassable due to being widely cracked. We have provided our Bodhivastu center building and land with tents and is currently being established as an emergency hostel for as many as we can handle. Reports are coming to us hourly from several sources. Please give generously at this time as the suffering is difficult for us even to fathom. We will soon be posting a list of items we will need to serve the people with emergency food, shelter, medical expenses and later for restoration of some homes as possible. We are adding to our local team on the ground through our two Not-for-Profit organizations, Bodhivastu Foundation and The Himalayan Light Foundation (HLF) for this critical work. 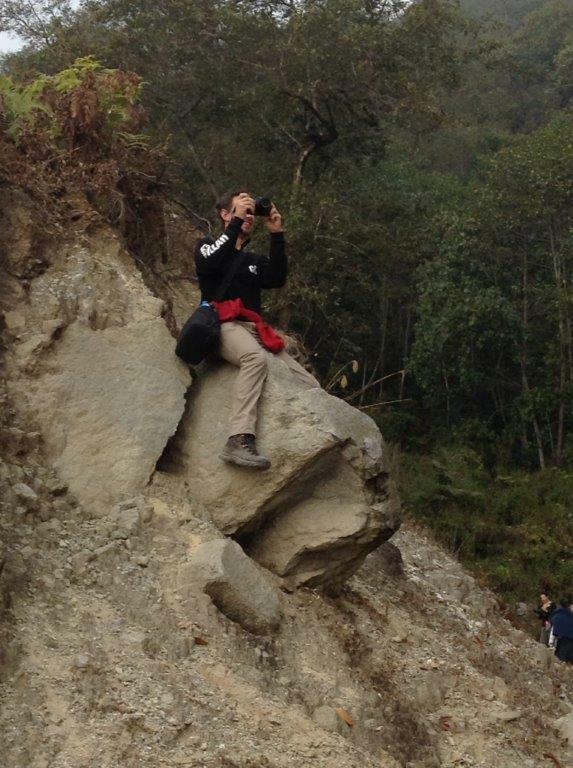 HLF office and Kathmandu staff are already in place and will commence work in the morning. If you cannot support with funds, then please take any and all action to help by sharing this page as widely as possible without hesitation asking your contacts to do the same. The early days are going to be the most critical. Help us mobilize as many forces at the earliest time while urgent help is most badly needed.